Dhanuka Agritech Limited manufactures a wide range of agro-chemicals like herbicides, insecticides, fungicides, miticides, plant growth regulators in various forms – liquid, dust, powder, and granules. The Company has a pan-India presence through its marketing offices in all major states in India, with a network of more than 7,000 distributors/ dealers selling to over 75,000 retailers across India and reaching out to more than 10 million farmers. The Company has technical tie-ups with 4 American, 5 Japanese & 2 European Companies. 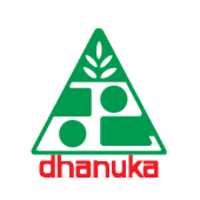 Dhanuka’s target customers are primarily farmers. Growth drivers are the intensive marketing network penetrating even the interiors of India, increased farm income, enhanced awareness about the cost-benefit tradeoff of agro-chemicals, highly diverse product range with a solution for almost all problems in all crops, innovative marketing strategies, and international technical tie-ups. The Company keeps adding new products every year through its collaborations and is continuously on the lookout to bring the latest technology to Indian Farmers. The Board of Directors of the Company Approved the proposal to Buyback of not exceeding 1,500,000 (Fifteen Lakh) Equity shares at a price of Rs. 550 (Five Hundred Fifty only) per equity share (the “Buyback Offer Price”) of face value Rs.10 each, payable in cash for an aggregate consideration not exceeding Rs. 82.50 crores. 1. Firstly, to be eligible for the buyback the investor should have shares of Dhanuka Agritech Limited Buyback Offer 2018 in demat or physical form as on the record date [ 02.01.2019 ] 2. Once you have shares in demat, you can participate in the buyback process which is opening from [25.01.2019 to 07.02.2019] by selling your shares through your broker on NSE or BSE. 3. Then on [14.02.2019], the payment will be given to you for accepted shares and unaccepted shares will be returned to your demat account. Review and Recommendation of Dhanuka Agritech Limited Buyback Offer 2018 by InvestorZone team is: 2/10 Fair: 1-5 Good:5-7 Excellent: 7-10 IZ Review 1. The Potential upside of 34% from CMP. 2. The company share is available at a good valuation. P/E of 16 on FY17-18 Numbers. The Company has shown a good set of numbers in Q2FY19. 3. The Acceptance ratio would be very low somewhere around 10-15%. So take decision accordingly. and finally AR comes around 75%……. 1. Buyback Announcement date: 14.11.2018—– Share Price was 410. 2. 350 Shares bought at Rs. 410 means an investment of 1,43,500. 4. The final Accepted Shares will be taken back on 14.02.2019. On 14.02.2019, the share price is 401. So a loss of 765 Per Shares. 5. Overall we can say a profit of 36,335 on an investment of 1,43,500 in 2 months. Tendered shares in individual category is 972709 as on 7th Feb 2019 6.30PM. AR is around 23.13% minimum as per numbers (225000/972709). Tendered shares in individual category is 632421. AR is around 35.5% as per numbers. Acceptance Ratio : 51.42% nearly Minimum. Buyback dates 25th Jan to 07th Feb.
Dhanuka is buyback hugely popular. 27,635 as of 31st Dec and now 53,640 Small Shareholders in the Letter of Offer. LAST DATE/TIME OF RECEIPT OF COMPLETED APPLICATIONS, FORMS AND OTHER SPECIFIED DOCUMENTS INCLUDING PHYSICAL SHARE CERTIFICATES BY THE REGISTRAR TO BUY-BACK: SATURDAY, FEBRUARY 09, 2019 BY 5.00 P.M. I bought shares of Dhanuka on 28th December, 29th and 30th were holidays, 1st is the exdate, am I eligible for the buyback considering that it takes T+2 days for stock to get into demat? Hi market wizard, please let me know should I buy it today for buyback?? Any idea about acceptance ratio? Board meeting is scheduled for December 20 to consider the final buy-back price, fixation of the record date and other related matters in respect of the proposed buy-back of equity shares of the company. What is your view on Tata investment Corp. Please suggest about tata investment buyback buy or avoid..
Tata Investment Corp. a TATA Enterprise is going for 45L equity shares buyback @ Rs. 1000/- each. Announcement made yesterday. Please suggest for dhanuka agri buy or avoid for buyback purpose..
Just wait for the record date to announce. It might be available below 400 as a market condition is choppy which would be a good entry price considering low Acceptance Ratio. We need to understand that the condition of the economy is not sound. The way Govt is coming up with so many buybacks, OFS, asking Special Dividends from Power PSUs, intervening RBI to put liquidity in the system shows all is not good. So better wait and buy at the right price. Had we in 2017 I would have blindly said to buy at CMP but not anymore. Hope u understand. Thank you sir for your valuable reply..
Entitlement ratio (as per 30 sep holding) — 5.65% Approx. Quarterly numbers shown by Dhanuka Agritech are good. The Company has also announced a Buyback at Rs. 550 ( an upside of 34%) for the maximum amount of 84 Cr subject to the approval of Shareholders. The maximum shares buyback would be 15 Lakh and out of which 2.25 lakh would be reserved for Retail Investors. Does that mean that all of them will come under retail category? You are correct in the calculation. No. This figure shows the list of shareholders who hold share between 0 to 1 lakh( 2lakh/2(fv)). But in the case of Dhanuka Agritech, the Retail investors would be who hold share between 0 to 350.